Widen your mixes and recover the natural ambience of your recorded sources. The Precision K-Stereo Ambience Recovery plug-in for UAD-2 and Apollo interfaces allows you to precisely enhance the stereo depth and imaging of your mixes without unwanted artifacts. Created for the UAD platform with famed mastering engineer Bob Katz, the Precision K-Stereo plug-in is designed for critical 2-track mastering applications — from jazz to rock to hip-hop — and is the natural-sounding cure for busy or narrow-sounding mixes. In this video, learn how to widen your mix and give a drum overhead mic more of a room sound with the UAD Precision K-Stereo Ambience Recovery Plug-In. thats what I'm talking about!! I demoed this for a week or so. When sitting in my mix position in my studio, I really liked what the plugin did. But when I transferred those mixes to other places, like my car, I hated it. It's like the power and immediacy got sucked out of it. I think that if your mixes lack stereo spread, you need to find out why, not just apply a plugin that does something to your perception of it. It has some use, though I don't think I would use it again. Ruins the drum sound. Can make the mix more punchy, but at the expense of other instruments in the mix. You can hear a difference, when using it, and it makes it seem better for a short time. Once you go back and listen again, you'll want to leave it off. This plug-in definitely helps with stereo imaging when you lack one. It saved the day when I had to master a high school production that was poorly recorded. It also does a nice job on spreading any mono source in mix. Works perfect on everything, excepts drums, or any transient instruments. Kills the sound of it. So it's useless for mastering. On vocals, synths or anything else it's perfect. Test this thoroughly before buying and check under headphones. Not sure about this, really. I bought it because I initially liked the effect on busses or the mastering chain. Though, the more I use it the more I tend to leave it off after A/B-ing. It certainly does give wideness and a sort of depth perception, but it also changes a carefully crafted mix to a degree that I'm not sure I can tolerate: Transients and impulses on drums etc. seem to suffer from the typical stereo widener-effects. While this plug may initially seem wonderful, it just does the typical ms-delay on a stereo source like most others, albeit in a more sophisticated way. I might use this for sound design and fx, but not for a traditional music master that's elaborately done. This is too expansive for what it claims. Sorry, Katz. Having used the Algorithmix version for 5 years, I am familiar with the use of this plug-in. 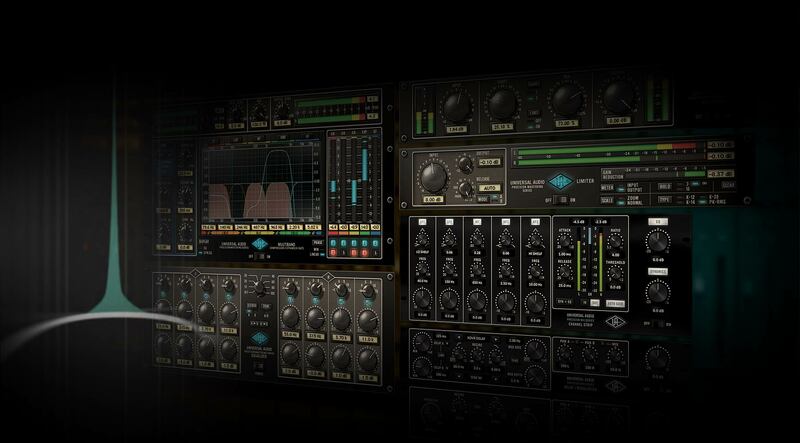 It is designed to extract and/or enhance existing ambience from recordings, generally stereo mixes or stems. It does this job well. It does not do much for individual tracks, so only get it if you do mastering. A/B'ing it with the Algorithmix, the Algo sounds better to me (probably due to the 80 bit calculation depth of the Algo). But the Algo is @ $1,000 US and has not been updated for 64 bit OS or Windows 7. I admit the difference is subtle and not worth the extra $800 unless you are very discriminating. Indispensable in a mastering engineer's arsenal. When I was in college (20 years ago), I attended a lecture with engineer Francis Buckley, who said that he has never and would never run a signal through a piece of gear which processed a signal in a way he couldn't easily explain to someone or at least that he understood completely… yeah, to hell with that. While I don't know exactly what this does, I really, really like what it does (mixes get wider, clearer, more detailed and focused). It doesn't work on every mix I've done but it has brought it's fairy dust like magic to enough of them to more than justify it's cost. Very well done. The K-Stereo is really effective in defining a master's depth and width, without compromising the weight of elements anchoring the middle and front of your mix. It is nice to be able to enhance or control the 3D effect of a mix, without any of the nasty phasing or "whole-in-the-middle" artefacts. The ambience EQ is another welcome tool, as is the separate balance control of middle and sides, making this my go-to stereo processor of the era. With any of the other tools. After downloading the K-Stereo and started to use it I knew immediately that this is a totally different of anything else iv tried before it just gives you that width and depth you need with such a simplicity way to work with and also sound amazing every plugin I tried before was just meeting things up and the K-Stereo just do it right with no overtones phase problems and all kind of those problems you get when you work on M/S. super recommended !!! Like it. Subtle but expressive. The price is reasonable for this plugin. More plugins are now coming with Mid/Side processing. The K-Stereo has it as well. It's nice to be able to gently spread-out the stereo image. Do it cautiously. Too much could be undesirable. K-Stereo is a well-known algorithm from Bob Katz.The Algorithmix sells it very expensive for the Windows platform.Some very expensive hardware gears are used K-Stereo. as they say, "knock and open to you".UA opened this doors for us!!! K-S is not only mastering feature,it,s a great mixing tool from snare to guitar group,for everything.Sound with a K-Stereo more detailed,more separate, and yet more connected. Apply it in your multitrack master session on one channel(for example) and you do not lose a good center and get the "expensive" air. I liked it, I bought K-Stereo on the second day of trial. I have always admired Bob Katz and his precise knowledge. The K-system plug where available once for PC only from another company, I am on MAC! So when I heard the rumors about the K-Stereo, I hoped it did what it promised. I have now used it in every Mastering project since it arrived, it is in my default setup. Just bought it ! The song i'm mixing has linear programmed beats and up the middle vocals. panning and reverb aside it still sounded dense and narrow. Simply putting the K -stereo on the master fader more than did the trick. In fact I have always struggled to get my mixes More 3D, wider, deeper etc. Rock, Pop or whatever. I have used the manual style hass effect a million times. ( sample delay's this, stereo that ) But this plugin packages it all up for you with some noticeable added magic. helping to achieve that all encompassing mix. and i'm just scratching the surface, can't wait to get more familiar. First I must say: I checked the "original" by Bob Katz/Algorithmix, which is almost the same but rather expensive. When it comes to imaging and filling up gaps within the stereo field, I found very nice results with it. So everyone who doesn´t have other proper tools should go for it, as it´s quite easy to handle and the mid/side function is a so nice attribute. On the the other hand I get the same or even better results by using the equipment I own anyway. A TC 3000 stereo programm (based on mid/side technique) or some short Altiverb/UAQ Lexicon 224 reverb or the combination of both (to taste) will do the same. I was really skeptical about this plug in and what it could do. So after a few sessions with the demo I found out I could not live without it. This plug in really bring out the best in my mixes really took them to new heights. I use it on my mastering jobs this is a must plug in for any sound engineer highly recommended. This is now my go to widener. My vocal tracks are almost always given some width and sparkle using this beautifully subtle plugin. Some doublers and spatial plugin's really loose the focus for some program material, but this keeps everything front and centre, and just adds beautiful detail behind it, creating a sense of early reflections or space. Very classy plugin that I'm finding more uses for every day. I just used this on a acoustic guitar track and on backing vocals. Both were sounding too narrow how they were recorded. The K-Stereo plug-in added a stereo image to it with amazing clarity and transparency while leaving the signal itself completely untouched and uncolored. Also the phase of the mix wasn't harmed, it kept it fully mono compatible. I already like this plug-in a lot. Tested it for a while and it sounds good. I also fed it with just a 2 Sample Impulse (1st Sample +100%, 2nd Sample -100%) and what it seems to do is basically adding a number of delays. The Wide Button adds one delay somewhere around 30ms with the phase inverted on one channel -disappears in mono. The Deep button seems to add a number of delays in the same 30ms range (like a higher feedback setting) but without phase inverted channel. Well and the EQ probably affects these delays. Athough it´s a good idea to combine these functions in one plugin, I don´t think it´s worth 199$ and all the talk about "only enhancing the ambience that´s already there" is pure marketing crap in my opinion, because it clearly adds something new to the signal.